As the U.S. Open kicked off August 31, Nike surprised all with the announcement of their newest partnership. 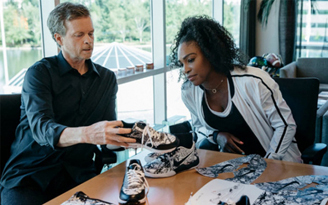 The renowned lifestyle and sportswear brand snagged tennis all-star Serena Williams to curate a trio of sneakers for their Greatness Collection in honor of her iconic tennis career. Serena’s Greatness Collection will be available on Thursday (Sept. 3) at Nike stores and online. Serena will also be wearing her new kicks at the Open!